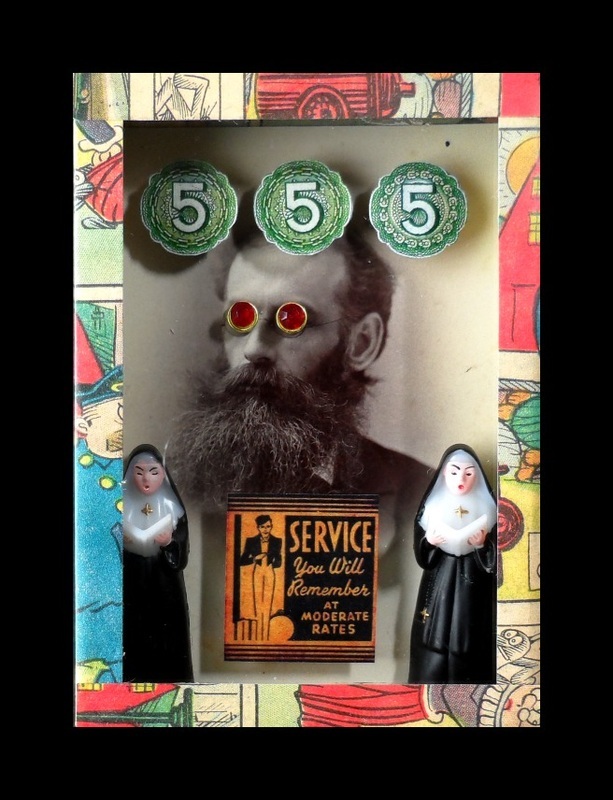 Portland assemblage artist, Greg Hanson introduced me to the world of assemblage. I love his delightful, whimsical sense of humor in his pieces. Here are just two of his new creations for this year. You can go here to see some of the others. While there, take time to look at some of his postings and his links to other artists. If you are interested in learning how to make his style of assemblages, he generously shares his knowledge on his YouTube channel. Grab a cup of tea or coffee, you will be there for a while.